A look at the life of Patsy Mink, the first Asian American woman and woman of color in the United States Congress. 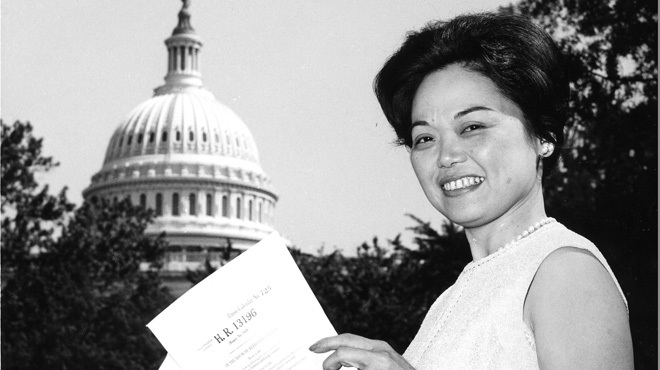 In 1965, Patsy Mink became the first Asian American woman and woman of color in the United States Congress. Patsy Mink: Ahead of the Majority looks at Mink's remarkable political journey, while often lonely and tumultuous, as she fought for the most disenfranchised and forgotten in society.